1934 A new municipal airport hangar—site of today’s Hangar Theatre—opens. 1964 Center for the Arts at Ithaca (CAI) founded, with ambitious plan to create a $5 million performing arts center in Cass Park. The Rockefeller family provides an initial planning grant. 1966 Ithaca municipal airport closes; hangar is shuttered. 1969 Original plan for the arts center abandoned due to funding shortfall. 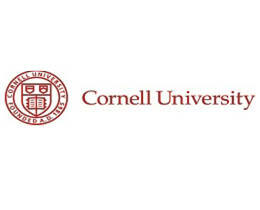 1970 Cornell University and Ithaca College theatre departments establish the Ithaca Repertory Theatre (IRT). 1973 Led by Tom Niederkorn, CAI gets permission from Nelson Rockefeller to use $100K grant to convert the hangar into a theatre. 1974 Architect Robert Manning Mueller creates design for the theatre. 1975 On July 11, curtain rises for IRT’s Man of La Mancha, the Hangar’s first production. 1978 IRT is renamed the Hangar Theatre Company. PROPS, the Hangar’s volunteer corps, is formed. 1982 Robert Moss, noted founder of NYC’s Playwrights Horizons, becomes artistic director. New Directors program and Next Generation School of Acting for Youth Theatre start. 1983 Wedge series of productions directed by New Directors fellows begins. both institutions continue to provide important support. Hangar’s professional training expands to include acting and production, forming the “Second Company,” forerunner of the Lab Company. 1985 KIDDSTUFF premieres as a Saturday children’s series produced by the Second Company. 50th Mainstage production: Agnes of God. 1986 $50K raised for required fire and building code renovations, so the Mainstage season can go on. New York State Natural Heritage Trust awards grant to construct a set and costume shop. 1987 Carol True Palmer, an Ithaca native with NYC theatre experience, hired as first managing director. 1989 NYC’s Drama League and the Hangar join together to create a new summer directing program. PROPS volunteer corps grows to 163 members, providing over 4000 hours of volunteer time. 1991 Major cut in state funding of the arts due to recession and state budget. 1992 Number of Hangar “Friends” and corporate sponsor increase. 1994 Lisa Bushlow (who began as an intern in 1989) named first-ever education director. 1995 School Tours program launched, bringing professional theatre to schools throughout NYS. 20th anniversary capital campaign exceeds goal, raises more than $270K for improvements. 1997 Hangar supports new works with guest playwright residencies. 1998 Received a $100K grant from NYSCA to launch the Empire State Partnership (ESP) program that became Project 4, where 4th graders write and perform original plays. 2000 Lisa Bushlow becomes executive director; Kevin Moriarty, an alumnus of the Drama League directing program, becomes artistic director. 2001 New Play Festival introduced. 2002 Hangar Theatre receives its first NEA grant for Artists in the Schools. 2004 30th anniversary season includes the 150th Mainstage production, Indoor/Outdoor, centerpiece of the New Play Festival. 2005 Pay What You Can program created. 2006 Next Generation program reshaped into three distinct levels: theatre camp, grades 3-5; theatre school, grades 6-8; theatre lab, high school. 2010 Capital campaign “A Hangar for All Seasons” achieves $4.6 million goal, $4 million for renovation, and $600K for the endowment. Renovated theatre opens to the public in June. CabarETC, series of vocalists and musicians outside summer season, begins. 2012 The Prologue series, pre-show discussions led by Drama League fellows, start. Project 4: Artists in Schools opportunities extended to all ICSD, Newfield, Trumansburg & Lansing elementary schools. 2013 Board and staff create the 2013-2018 strategic plan. First spring “Break-a-Leg” program offered; school tours end. 2014 Hangar celebrates its 40th season. 200th Mainstage production: Other Desert Cities. Partnership with DSP Shows increases year-round community use of the theatre. 2015 Michael Barakiva, Lab Company alumnus, joins as interim artistic director. 2016 Barakiva becomes first full-time, in-residence artistic director. Local writer Aoise Stratford commissioned to do new adaptation of Charles Dickens’ A Christmas Carol. 2017 Hangar presents Charles Dickens’ A Christmas Carol in December. The Wedge series takes up residency at the Cherry Artspace, Ithaca’s newest theatre. Two-week summer “Break-a-Leg” added to education program. CabarETC series ends, replaced by DSP Shows. 2018 MaryBeth Bunge becomes managing director after serving as Interim 10/2017-2/2018; she previously served as development director during the “Hangar for All Seasons” campaign.